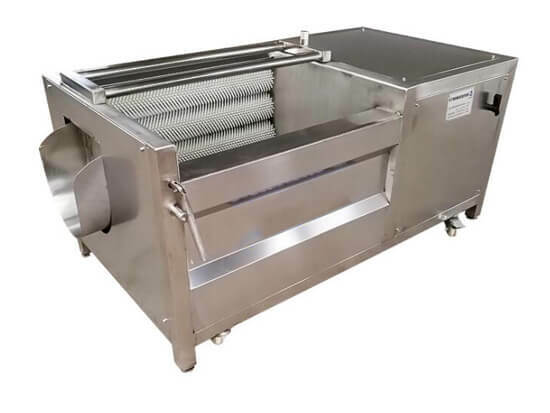 Fish scaler machine is used to remove the fish scale in an automatic and sanitary way. The whole descaling process has no damage to fish with soft brush type rolling. The automatic fish scaling machine can process fishes with any sizes, and it is widely used in restaurant and fish processing plants,etc. 1. Wholly made of stainless steel with brush-type structure; can remove the fish scales cleanly without any damage to the fish body. 2. 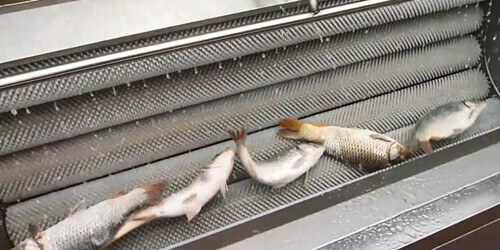 The scales can be automatically separated from the fish, and then the de-scaled fish is discharged from the discharging hole. 3. 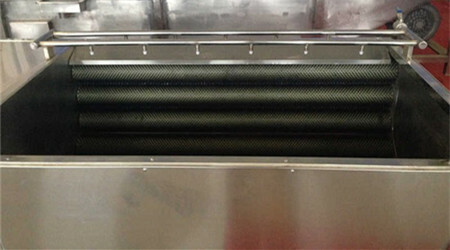 The fish descaling machine is equipped with the protective devices to avoid motor overheating or leakage. 4. Large working capacity of 1000 kg-4000 kg /hour. 5. No limit of the size of fish. 6. Widely used in fish market, large restaurants, and fish processing plants. 1. There are 4 land wheels on the bottom of fish scale cleaning machine. Two are steering wheels for steering control the direction of moving machine. The other two move at fixed direction. The steering wheels can break the machine, so they should be in Braking State when the fish scale remover machine has been placed. 2. 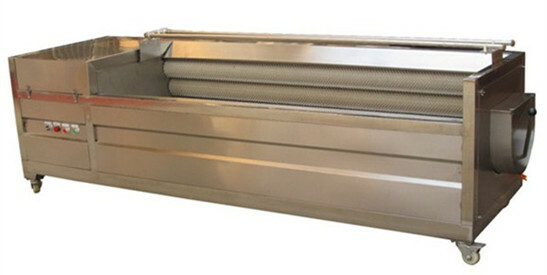 After placing the fish descaling machine, the feed-water pipe should be connected, and switch on the three-phase power sources of 380V/ 50HZ. 3. The rotation direction of rollers: See from the left (at the discharging hole), the brush roller should turn at anti-clockwise direction.